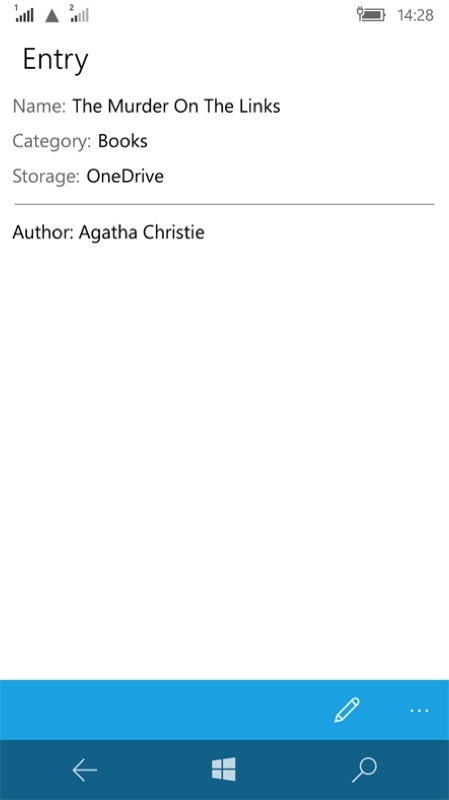 Collection Keeper UWP... does what it says on the tin! Does this sound familiar? You decide to keep a list of all your (say) BluRays and DVDs, so that 'you know what you've got'. You spend hours on it and eventually have a definitive list or spreadsheet. But over time it gradually goes out of date and you stop using the system altogether. A year later and the system is effectively worthless. Well, maybe that's just me and my family. If you're organised enough to a) do all the data entry and b) put the work into keeping the system bang up to date then Collection Keeper may just be for you, with its data synced across all your Windows 10 devices through OneDrive. 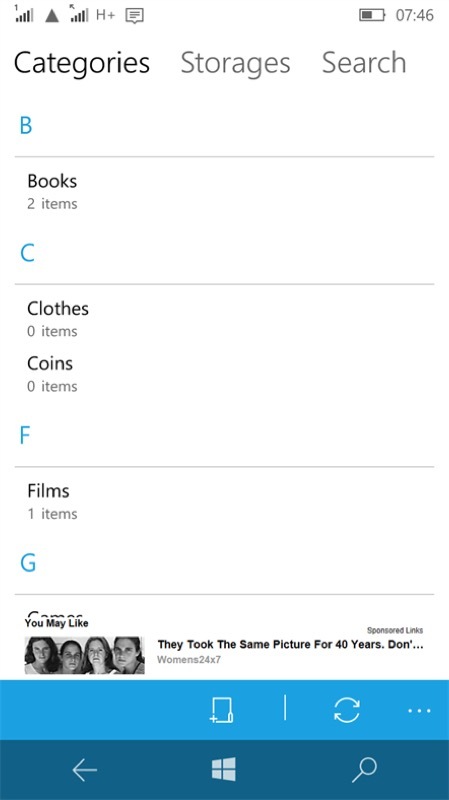 Collection Keeper App allows to quick and easy organize information of collections and things. 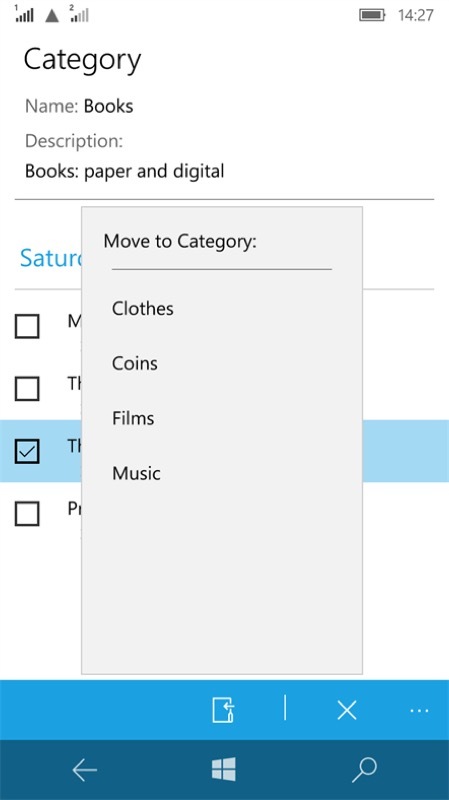 It helps for moving to another place: you will be able to save all your boxes' information and information about things stored in them in this App. All collection items can be assigned to categories and storages, so you will have a great ability to access this data by different ways: by categories, storages of by search. 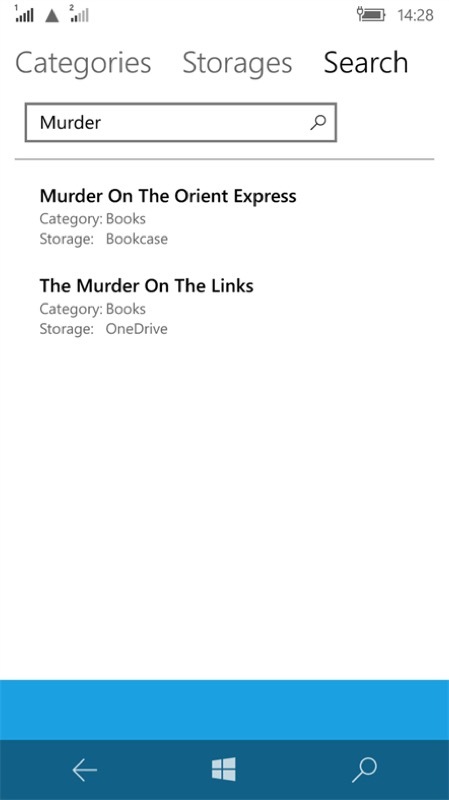 This App is a good solution for keeping data about books, films, music, games, etc. Synchronization allows to work with you data from all devices. 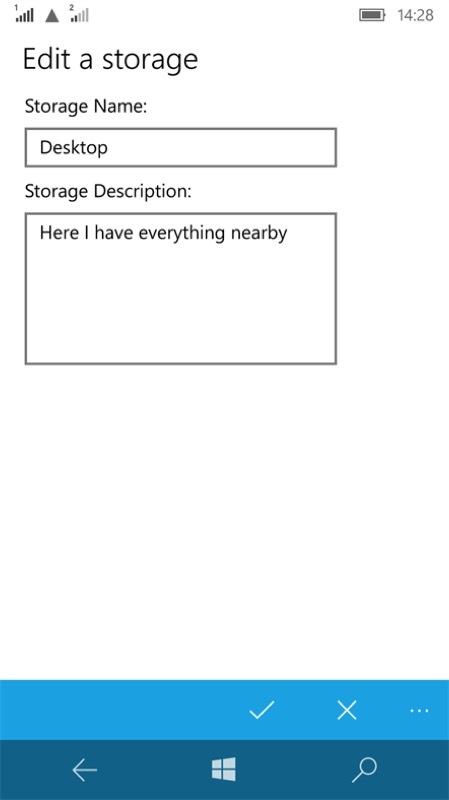 Now, I'm exactly the wrong person to pitch this app too, as you'll have gathered, but hey, it's a full-on UWP application that will be useful to the really organised amongst us - is this you? Comments welcome! Undeterred, creating a new entry in a 'Books' database! 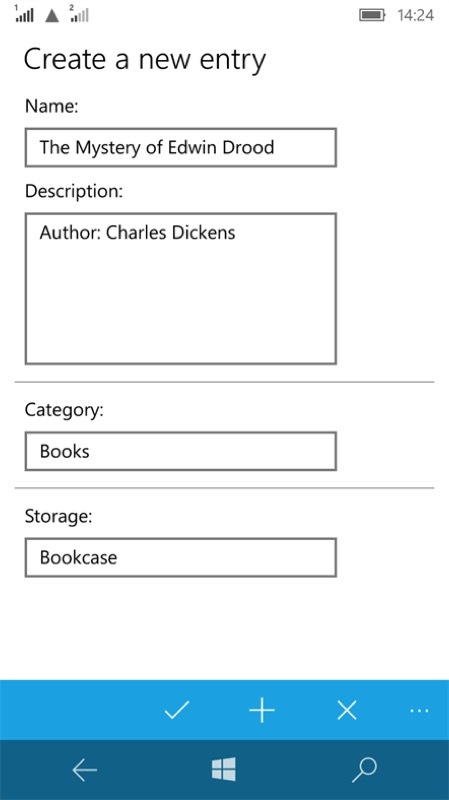 Filed: Home > Flow > Collection Keeper UWP... does what it says on the tin!